A Florida county where voting problems led to the suspension and resignation of its elections supervisor is spending $15.7 million on new voting machines. 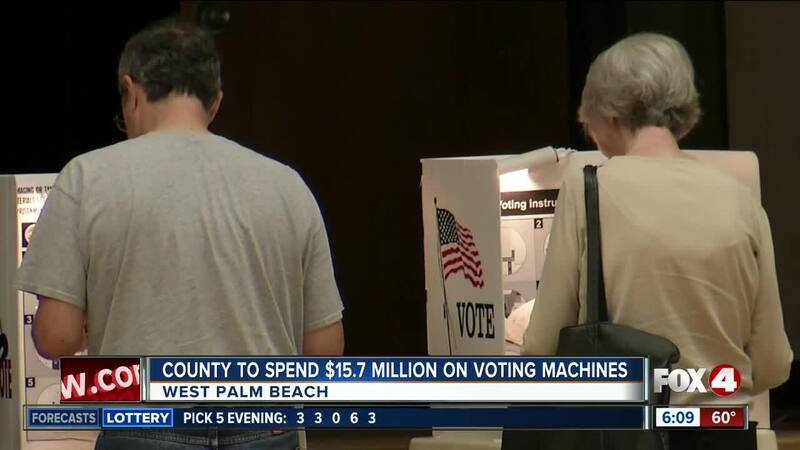 WEST PALM BEACH, Fla. (AP) - A Florida county where voting problems led to the suspension and resignation of its elections supervisor is spending $15.7 million on new voting machines. Republican Gov. Ron DeSantis suspended Democrat Susan Bucher last month and replaced her with Republican lawyer Wendy Link. Link says she's confident that the investment will prevent another election like the one in November, where officials struggled to complete recounts in four close races, including contests for governor and U.S. Senate. Link says the new voting system should be ready by March 2020 for the Democratic presidential primary. Next month's municipal elections will use the old machines.